We’re All Shook Up! | So Many Exciting and Beautiful Places! We cruised overnight to Bora Bora, which translates to “first born of the silent paddle.” The ship has to set anchor away from shore as the water is too shallow at the docks. Passengers are tendered from the ship to the dock. We boarded one of the shuttle boats that are also used for emergencies. 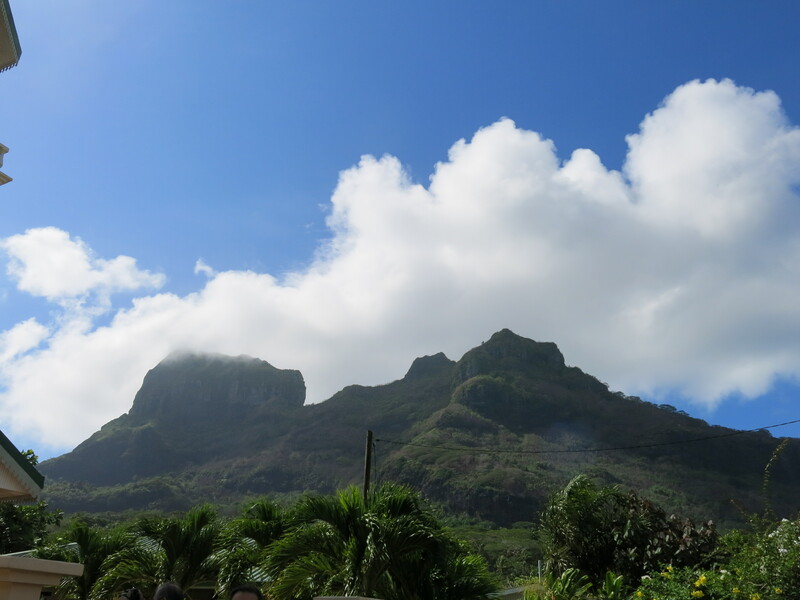 In the morning, we took a bus tour around the island, a distance of about 17 miles. 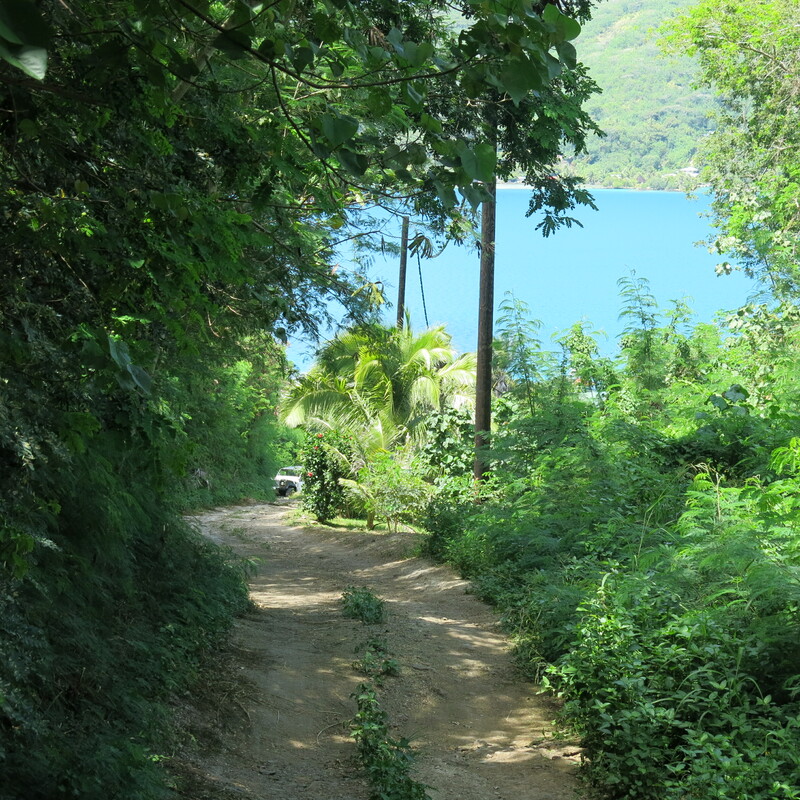 The island is lush and green, with almost any kind of fruit you can think of. The beaches are very inviting. 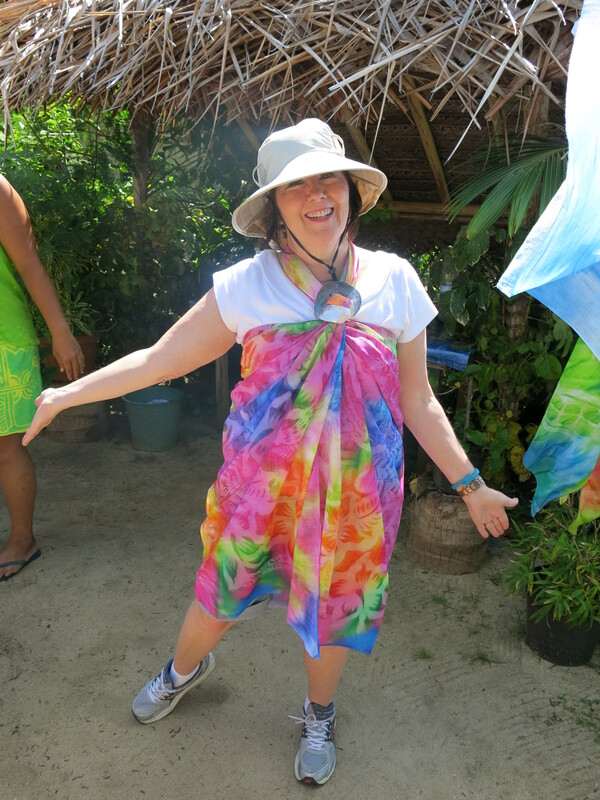 We stopped at the home of a local tie dye artist whose speciality is the pareu, or sarong. The artist used Mark and me to demonstrate different ways to wear the pareu. 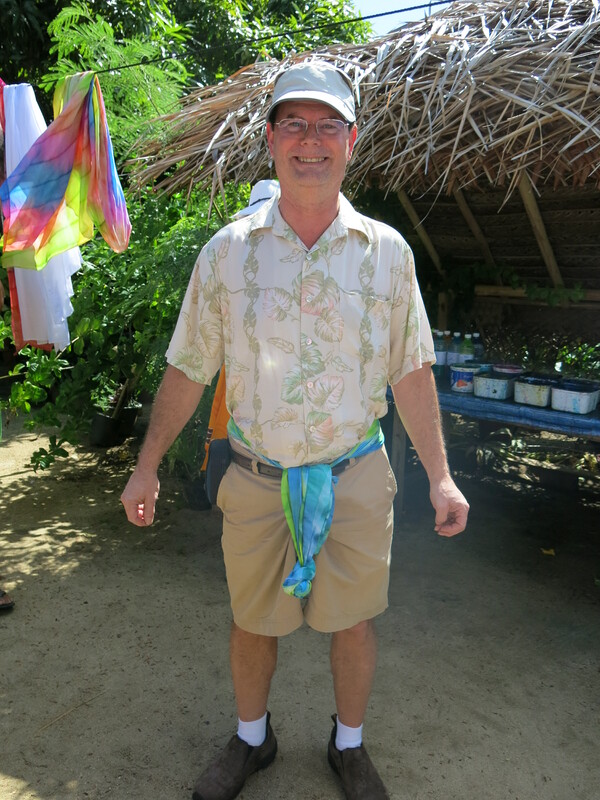 We also sampled some local fruits – breadfruit, banana, coconut. In the afternoon, we took a mountain safari by Land Rover. This was not unlike taking a jeep on the back trails in Utah or Arizona. At times, it looked impossible to crest a rise, but we always made it. It was a bumpy ride! 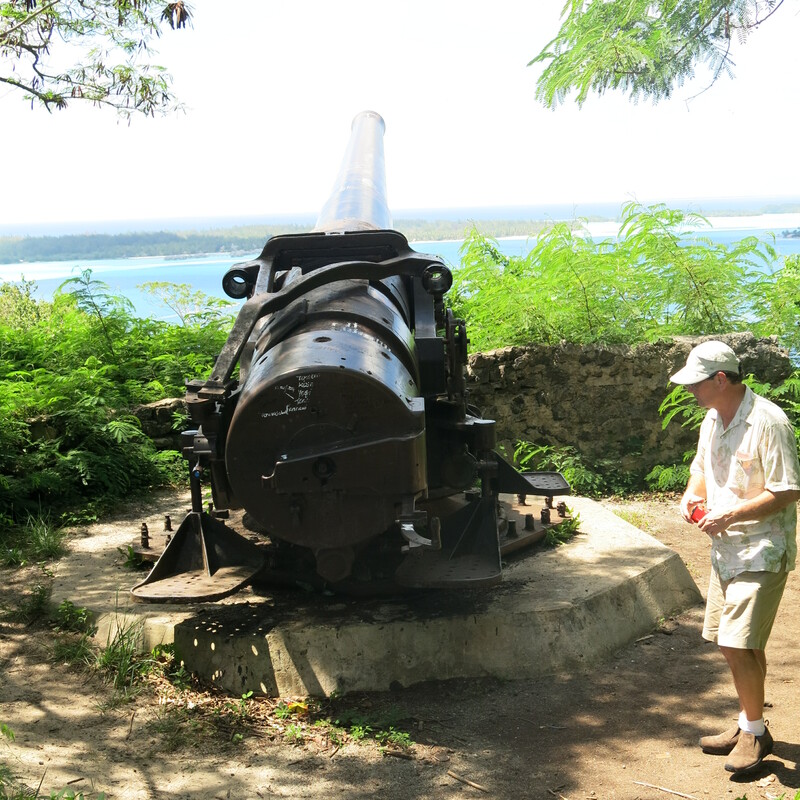 We visited a location with cannons and bunkers left from WWII. Bora Bora was not invaded during the war, but they were prepared. 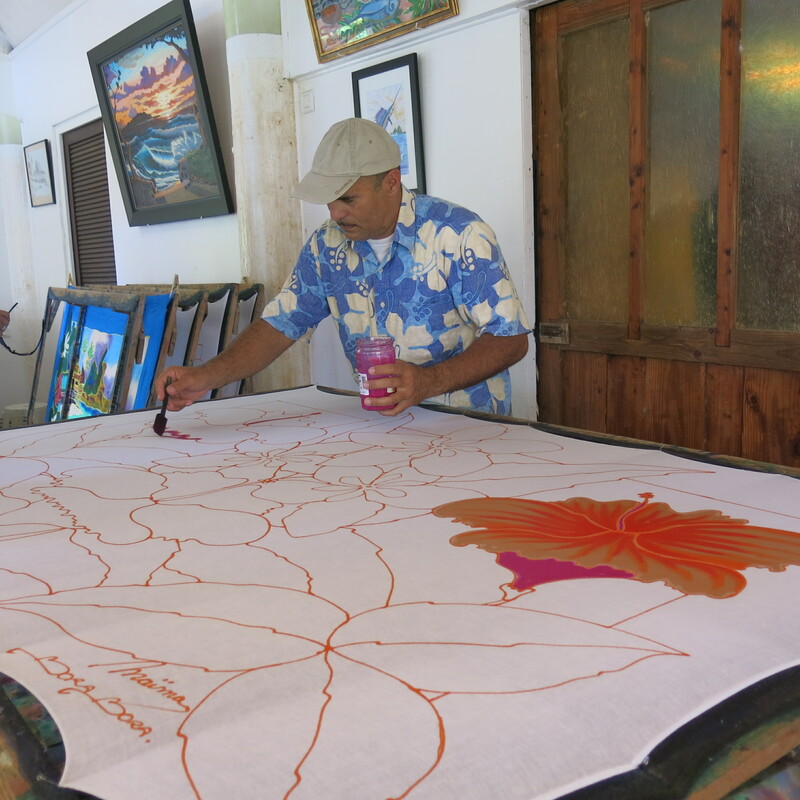 We visited another artist who handpaints pareus, and stopped at a pearl farm to learn about that process. 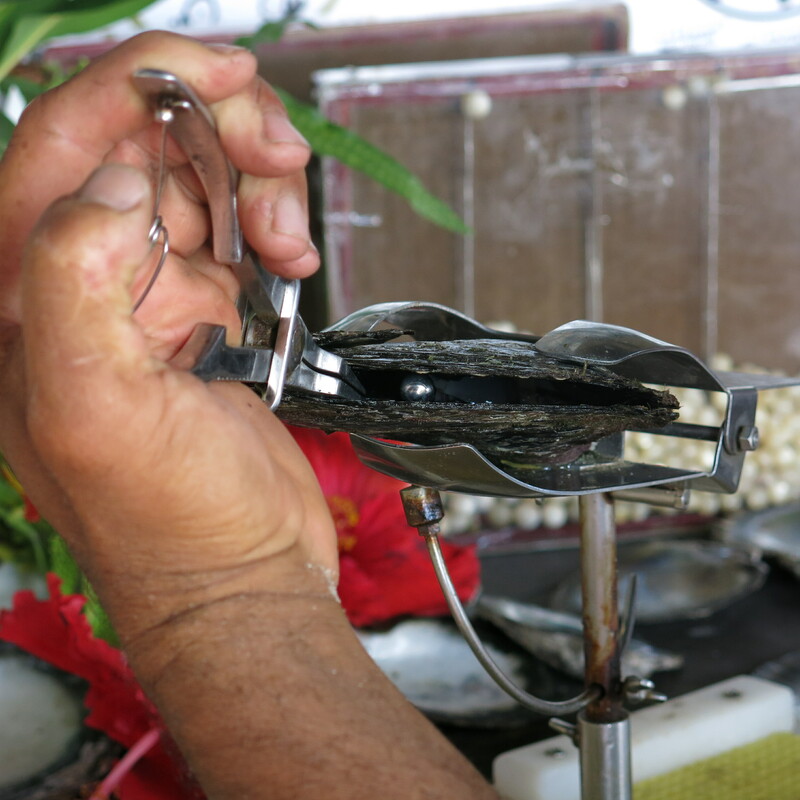 A “seed” is inserted into the oysters, then later extracted by tweezers after the pearl has formed. 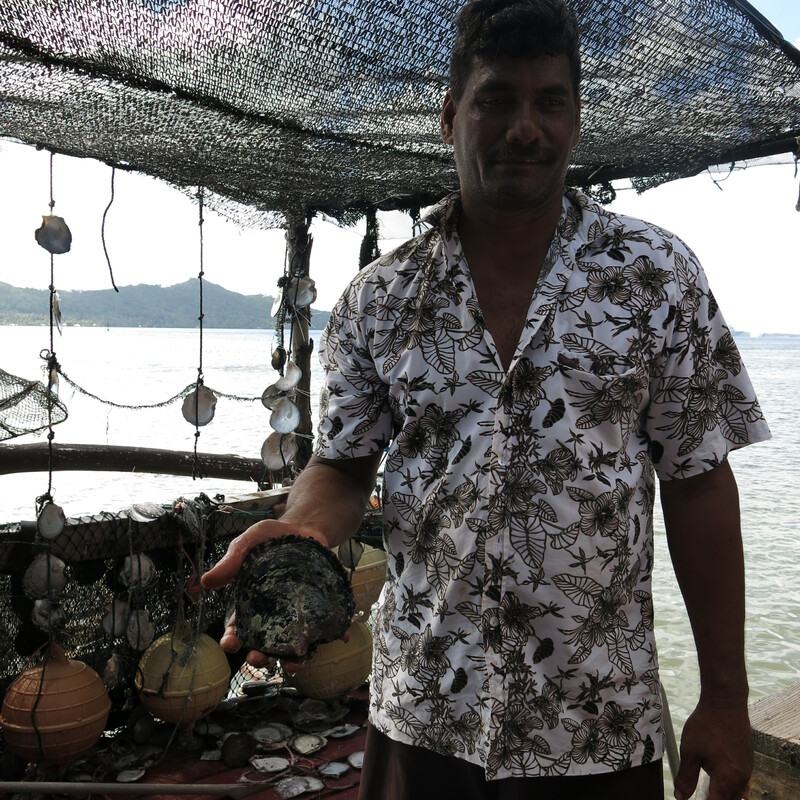 An oyster can produce pearls for up to seven years. 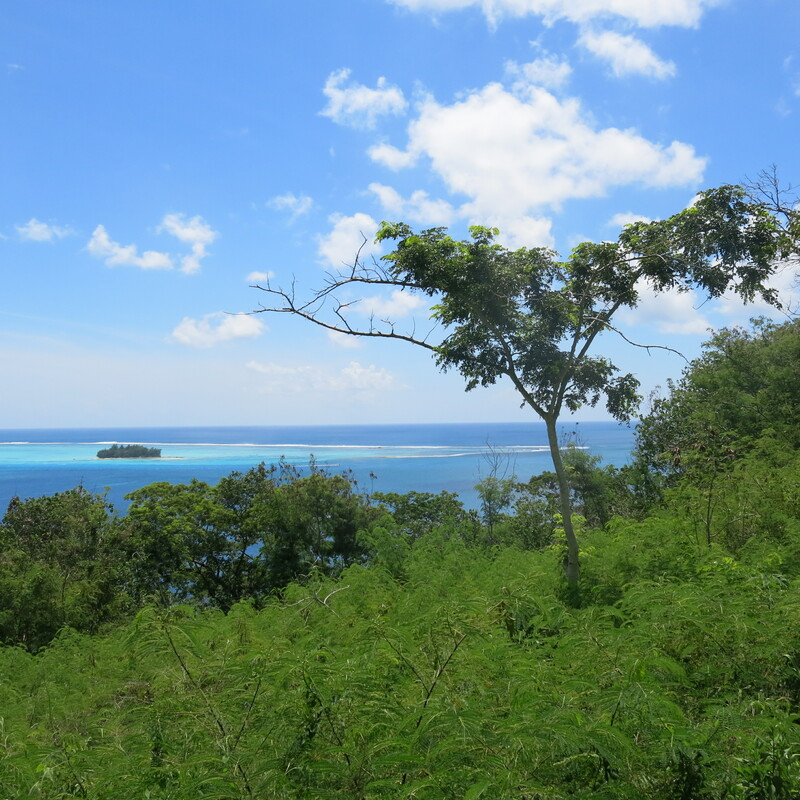 The views from the higher elevations were simply gorgeous, both of the island and of the ocean. We had dinner tonight with one of the ship’s presenters and his wife, Dr. Jay and Carol Wolff. He’s a dentist by training, and an historian by passion. He writes articles for several publications, including American Heritage, American History and Forbes. They are both retired, and go on several cruises each year, giving presentations about the various stops on the cruise. They were delightful company. After dinner, watched the movie World War Z. Not the best I’ve ever seen, but it was entertaining. 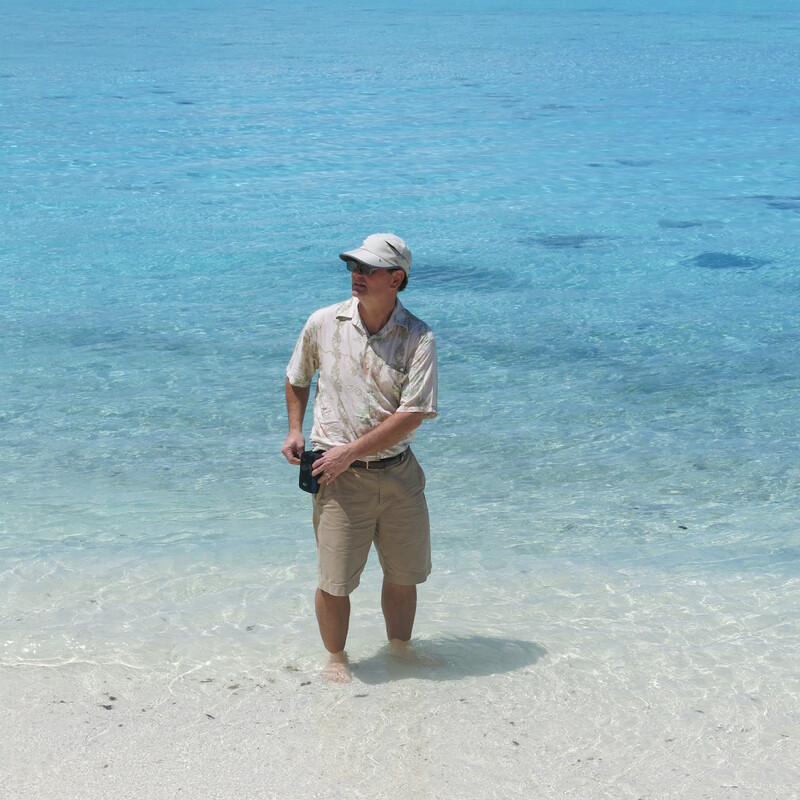 This entry was posted in South Pacific Travel and tagged Bora Bora, Crystal Symphony. Bookmark the permalink. 1 Response to We’re All Shook Up! Beautiful pictures. Your adventure sounds wonderful.